Reviewed by: Emma Fenske, a summer student in the professional writing program at Taylor University. What did Jesus do before he went to the temple with his parents? What was it like when Jesus, “grew, and waxed strong in spirit, filled with wisdom: and the grace of God was upon him.” (Luke 2:40) That Boy from Nazareth creates an action-packed answer to these questions. 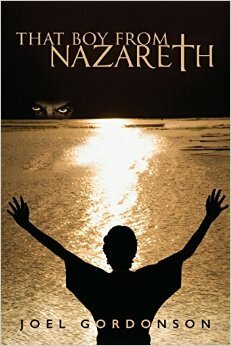 It follows Jesus as an every-day twelve year old boy in the Roman Empire. We see him have his first crush, get into and out of trouble with his friends, work with Joseph, and learn about the world around him. The crude language and vulgar actions by some of the characters seem uncomfortable in a Christian-themed book written to a teen age-group. This book should be read only by those who are solid in their faith, as it seems to diminish the supernatural power of Jesus’miracles and messages. Many of the events in the book line up with Jesus’ parables, making it seem as though he simply remembered events from his childhood instead of knowing what to tell his followers. It also makes the assumption that Jesus did not know he was God as a child. I would not recommend this book to anyone who could not read this as a purely fictional work of literature. Firmly established Christian teens who enjoy fictional action and adventure. While this is obviously a fiction book, its parallels to events in Jesus’ ministry can make it doctrinally confusing. Jesus’ friends in the book have both the same names and same attributes as his apostles in the Bible. Jesus also has a crush on Mary Magdelene. John the Baptist becomes “J.B.,” a rebel thug against the Roman Empire. It also questions whether Jesus knew of his deity as a child, which makes Jesus not omniscient, which makes him not God and not able to be our salvation. God the Father is also seen in the form of a man, which is doctrinally incorrect. This should not be read as a work of truth by someone unsure of what he or she believes as a Christian. Emma Fenske is a summer student in the professional writing program at Taylor University.